There is nothing better than a beauty product that delivers instant gratification, a role usually reserved for makeup rather than skincare for its transformative properties. Every so often though, an amazing game changer comes along from the world of high performance skincare, and the latest to land is from the might PREVAGE. Called PREVAGE City Smart Double Action Detox Peel Off Mask and landing on counter in New Zealand next week, it is a skin resurfacing mask that instantly lifts and removes impurities and promotes skin’s natural detoxification system for a brighter, smoother, virtually poreless complexion. Like the rest of the PREVAGE collection it is formulated with the power of Idebenone, and also like its other family members: it works. And then some. The “City Smart” and “Detox” part of its name comes down to its focus on fighting the effects of pollution, an unfortunate side effect of modern life living in a big city. Pollution’s dirty little secret is that it can enter every pore, every day. Some pollutants can even be 20 times smaller than the average human pore, and with thousands of them exposed on your face alone, your skin is incredibly susceptible to its harmful effects. To date, 80 per cent of the world’s population is exposed to particulate matter that exceeds the World Health Organization’s recommended level. Add to that the fact that age impacts the rate in which your skin can naturally combat the impact of pollution and you see how much of a difference products targeting that can make. In your 20’s skin cell turnover is happening at a rate of about every 20 days, but by age 45 those same cells are taking an average of 40 days to renew themselves. In other words: you need a little extra help, and that’s where this tube of amazingness steps in. Using powerful ingredients including antioxidants, a smart polymer and a botanical blend, the super easy to apply mask helps to perfect your complexion by removing accumulated surface toxins, peeling away dirt, oil and pollutants from the skin – supporting skin’s natural detoxification system by gentle exfoliation. The smooth, super lightweight, gel formula delivers both immediate and long term detoxifying results, and after just one use, 95 per cent of women tested agreed skin looked clearer and 91 per cent agreed pores were visibly reduced. I’ve used it only twice since it arrived across my desk last week and already I have noticed a new clarity to my skin - it works that fast, no exaggerration! The brand recommends that you use it twice a week, and that feels about right to me. You apply a generous layer to cleansed skin - avoiding eyebrows and hairline - and wait twenty minutes while it does its work. When it is completely dry, gently peel off from edges to reveal your brightest complexion yet. The first time I used it I didn’t apply a thick enough layer and found removal a bit of hassle, but second time round it came off like a charm! For the ultimate PREVAGE detox and defend ritual, the brand recommends that you pair PREVAGE City Smart Double Action Detox Peel Off Mask with their City Smart Broad Spectrum SPF 50 Hydrating Shield. 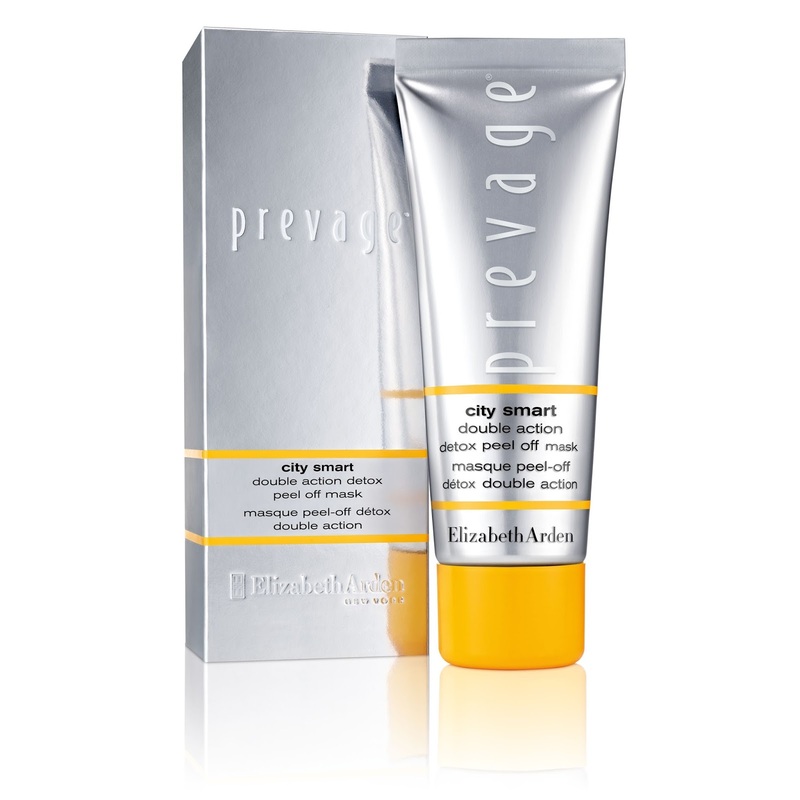 PREVAGE City Smart Double Action Detox Peel Off Mask will be available at all Elizabeth Arden counters next week, for RRP$126 (75ml tube). If you can afford it then I say go forth and grab one - it’s that good.